Am I allowed to use a Stan Lee quotation as a section heading in an academic paper? 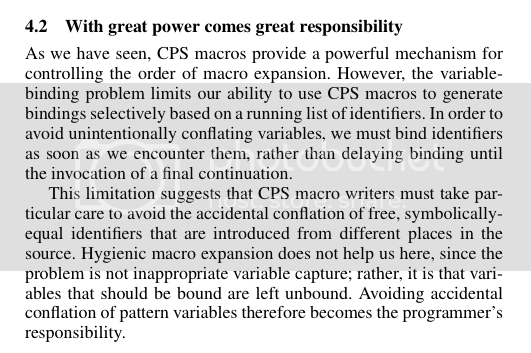 Say, for instance, a Scheme Workshop paper about things you shouldn't do with CPS macros? I managed to sneak a version of my usual web avatar (the angry pink version of Zen-Chan from Bubble Bobble) into SIGGRAPH. Easter eggs can be a nice way to liven up a paper. Agreed. It might make people groan, but at least it won't make them yawn. Alex maintains that people who read more comics than I did growing up might not be quite as amused by this as I am. This, of course, is coming from the guy who wanted me to find a way to incorporate the phrase "gotta catch 'em all" into the paper title.